This red post mounted nautical light stands 12 1/4 inches tall. This light has a beautiful red glass Fresnel lens! The lens measures 5 inches wide. The base of the light is 5 1/4 inches in diameter. Weighs 7 1/2 pounds. There are several small chips in the glass Fresnel lens. There is also a 1 1/2 inch gap in the bottom gasket of this light. This light has been rewired with UL-listed wiring and bulb socket. This light takes a normal screw in house bulb of 75 watts or less. To access the bulb area, you simply spin off the threaded cap. 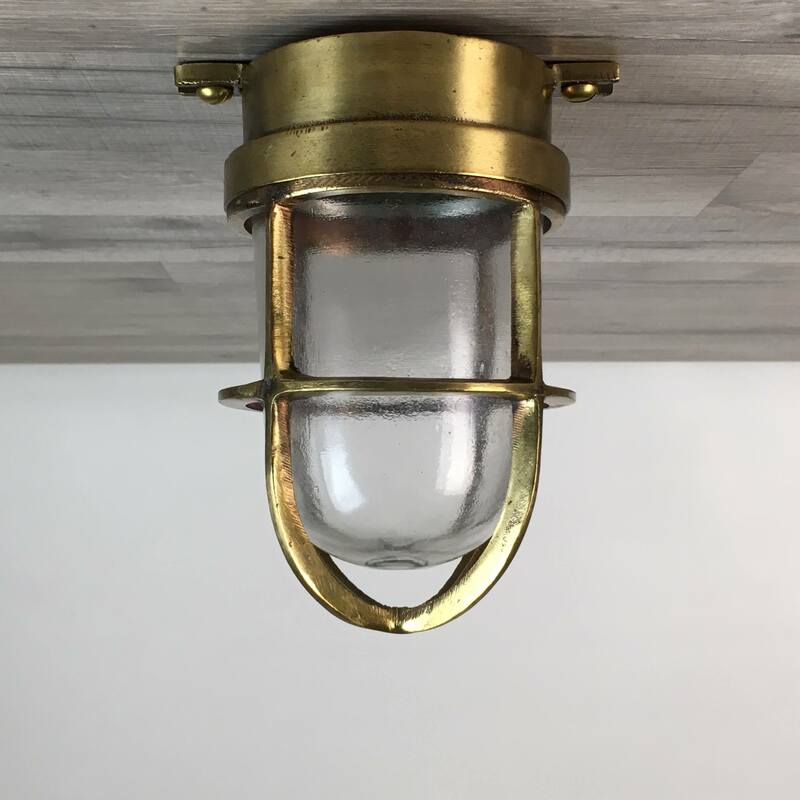 The wiring exits the bottom of the light from the brass post. You will be shipped the red post mounted nautical light shown in the photos.